CMP produced and staged the live broadcast of Prime Minister Modi’s visit to South Africa. 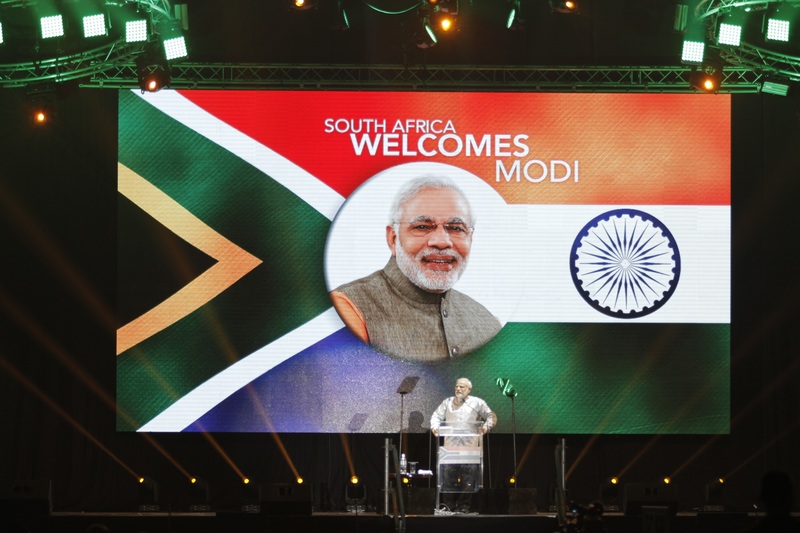 An event staged at the Ticket Pro Dome with an audience of 10 000 people, the Prime Minister was welcomed with an Indian and South African extravaganza, where the best of South African Indian entertainment performed. The event was broadcast live to an audience of well over 600 million viewers worldwide.